Around a month ago on holiday one of my favourite MAC lipsticks became severely deformed after what I can only assume was a mad night with its lid off in my handbag. I was so annoyed until I finally cried my river and found myself Googling ways to fix it. To some, the before picture might not look that bad but every time I tried to apply it, it was edging closer to breaking off entirely. So here's my advice to any of you currently in this situation. 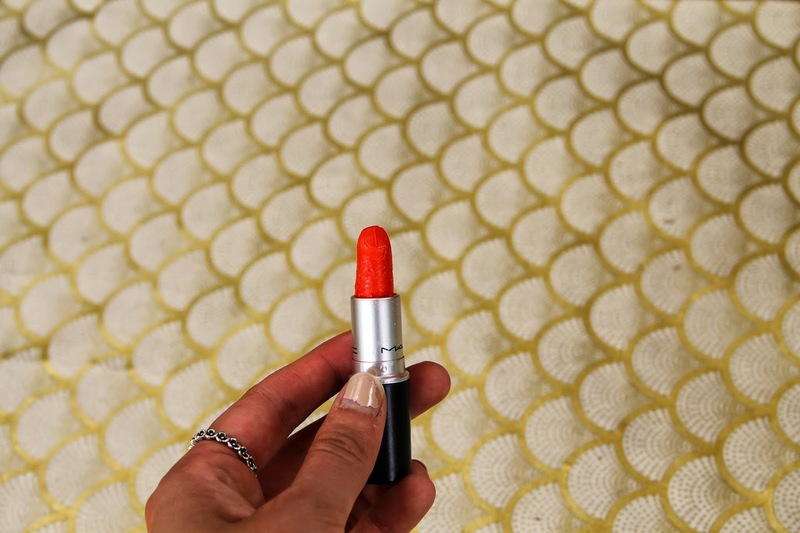 Step 1: Accept the fact your favourite lipstick will never be perfect again. Step 2: Apply paper towel to your preparation area to catch prevent marking everything in Neon Orange. 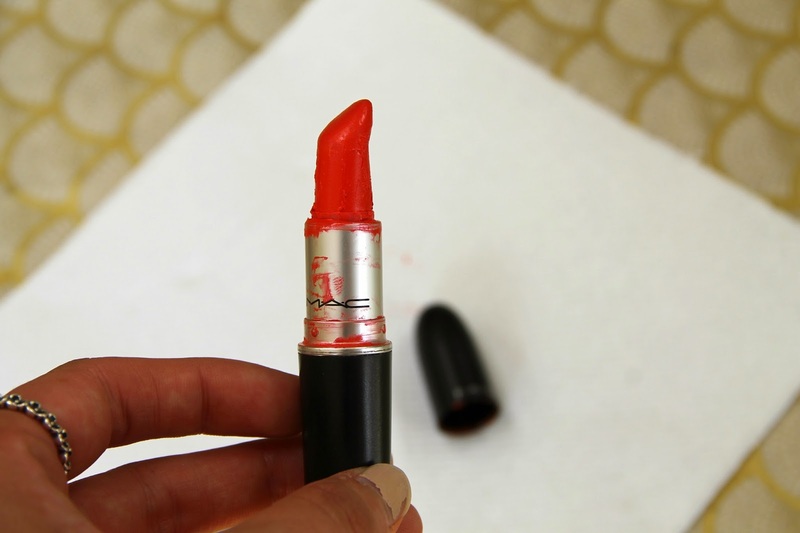 Step 3: Carefully using matches or a lighter, melt the problem area of the lipstick. Step 4: Using a cocktail stick, begin to re-mould the product to its original state. 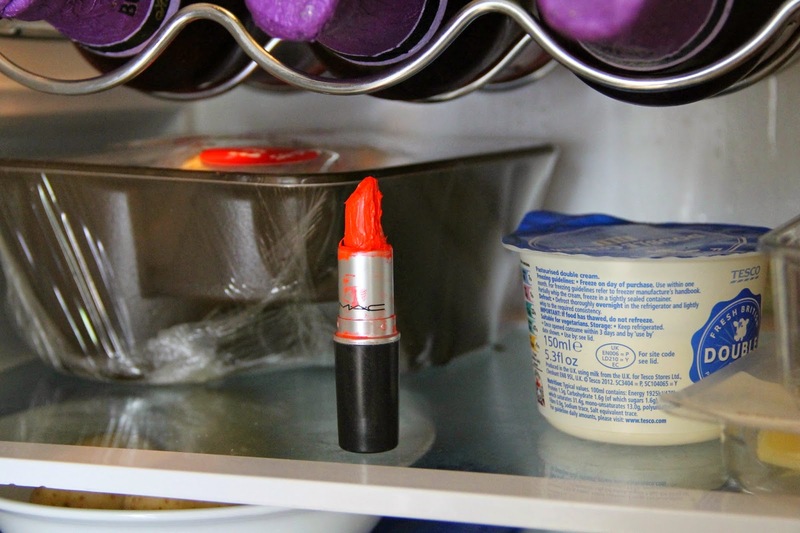 Step 5: Place your lipstick in the fridge (with your dinner) for approximately 30 minutes or until it has re-set. Step 7: Test the lipstick to ensure no more damage can be done.